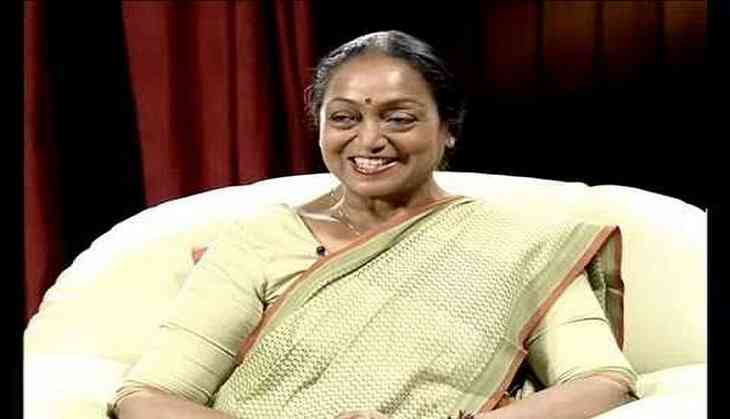 Opposition presidential candidate Meira Kumar will file her nomination on Wednesday. The former Lok Sabha speaker is to file her nomination at 11 a.m. Prior to her filing nomination, Meira Kumar yesterday held a press conference, reiterating that there should not be one upmanship on caste for the post of President. Speaking on the emergence of two factions, each supporting the two presidential candidates, Kumar said that 17 political parties have extended their support to her. "I have written to the collegium of MPs and MLAs and asked for their support. I have requested them to listen to the inner voice of conscience," she said. Responding to a poser on Janata Dal (United) supporting NDA presidential candidate Ram Nath Kovind, Kumar said, "Such things happen in politics. I will decide what to do at the right time." Kumar said that she will start her presidential campaign from Gujarat's Sabarmati Ashram. Kumar has been pitted against National Democratic Alliance ( NDA) presidential nominee Ram Nath Kovind by the opposition. The presidential elections are set to take place on July 17.